(Bass Builders). The complete guide for mastering the six-string bass! 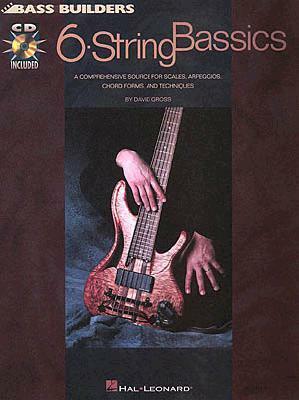 This book with online audio covers scales, arpeggios, modes, chord forms, two-handed tapping, alternative techniques, chromatic exercises and theory concepts. Over 90 full-demo tracks performed by the author are accessed online, for download or streaming, using the unique access code in each book. The audio files include PLAYBACK+, a multi-functional audio player that allows you to slow down audio without changing pitch, set loop points, change keys, and pan left or right.